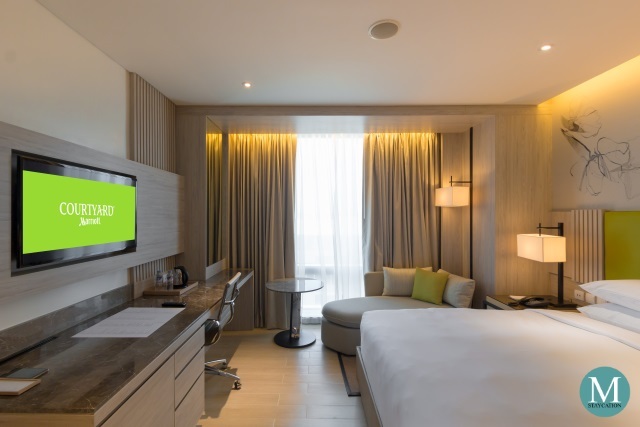 The Deluxe Room is the lead-in room category of Courtyard by Marriott Iloilo, and is one of the three room categories of the hotel. 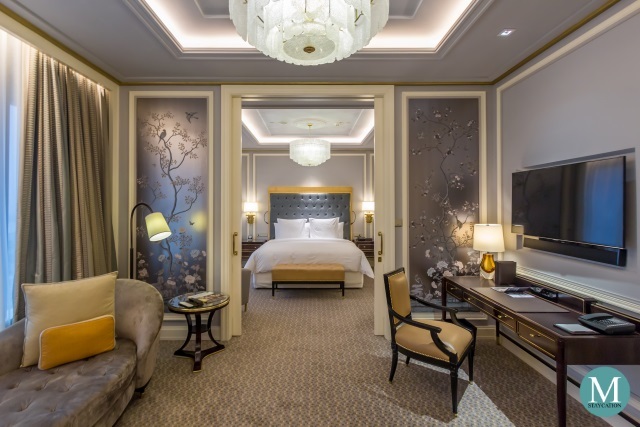 The Deluxe Room measures 32 square meters and is available in a King Bed and Double Bed configuration. 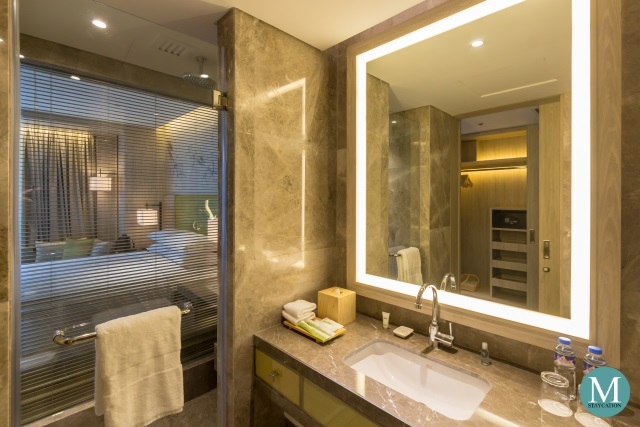 An accessible version of the Deluxe Room is also available. 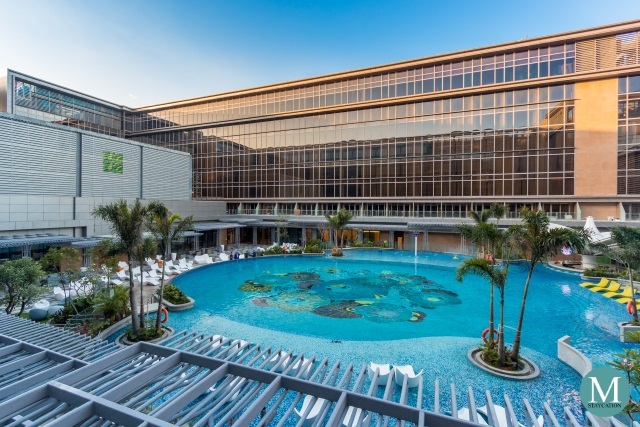 The interior is dominated by white oak wood and brown marble, with touches of khaki fabric and splashes of the signature green color of the Courtyard by Marriott brand. The room is equipped with a 40" full HD LED television with local and international cable and HD channels. There are plenty of power and USB outlets inside the room so there is no excuse to run out of battery. WiFi internet was amazingly fast at an average of 25Mbps. 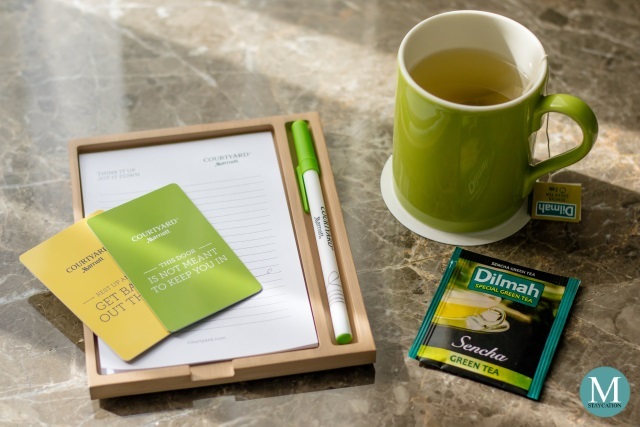 Guests are provided with complimentary bottled water as well as Nescafe instant coffee and Dilmah-branded tea bags. An electronic water kettle is available inside the room. Glasses, cups and teaspoons are stored inside the minibar drawer. 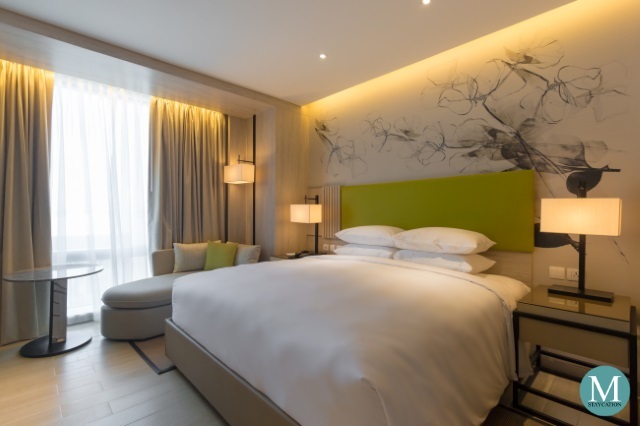 Courtyard by Marriott Iloilo, just like most Marriott and JW Marriot properties in Asia-Pacific, utilizes DreamMaster-branded mattresses in its guestrooms. 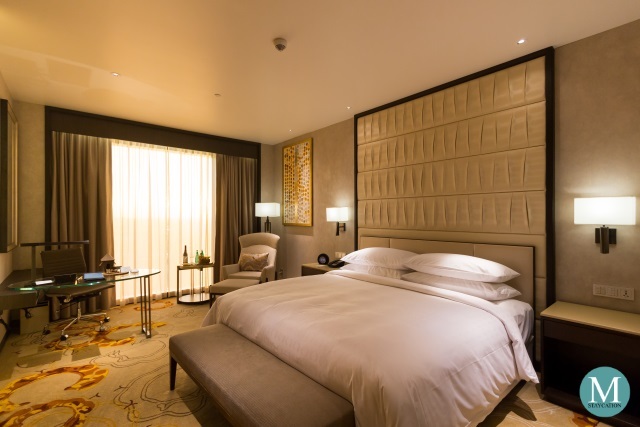 The mattress is covered with a thick and fluffy mattress topper and lined with high thread-count linens. The 100% cotton duvet even adds to the overall sleep quality. 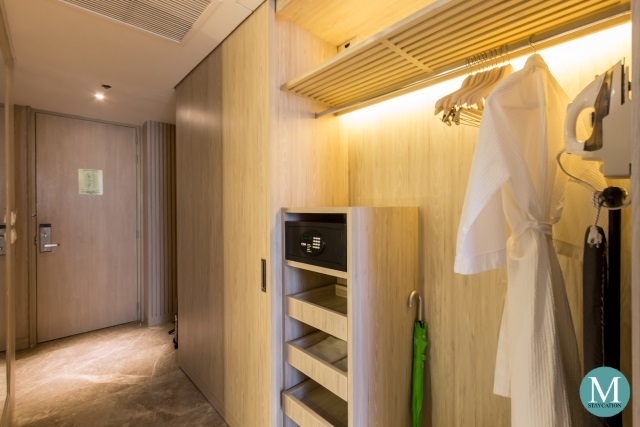 A sliding door covers the closet with enough storage space for a week's worth clothes. Folded garments can be stored in various drawers. Iron and ironing board are also stored inside the closet. Each guest is also provided with a bath robe and bedroom slippers. The electronic safe is also concealed inside the closet. 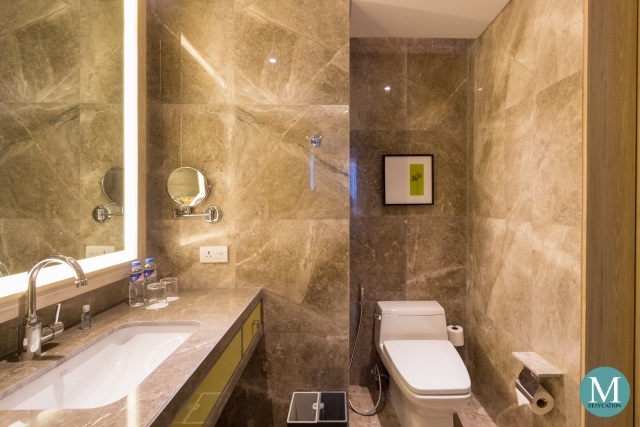 The in-room bathroom is smartly designed to comfortably fit a walk-in shower a spacious wash basin and a toilet. The floor and walls are lined with marbles. The ladies will definitely love the LED framed mirror. A hairdryer is stored in a box under the countertop. Dental kits and vanity kits, as well as additional bottled water, are provided on the counter-top. Separate trash bins are provided so that guests can segregate recyclable from non-recyclable items. The toilet is fitted with a bidet spray. 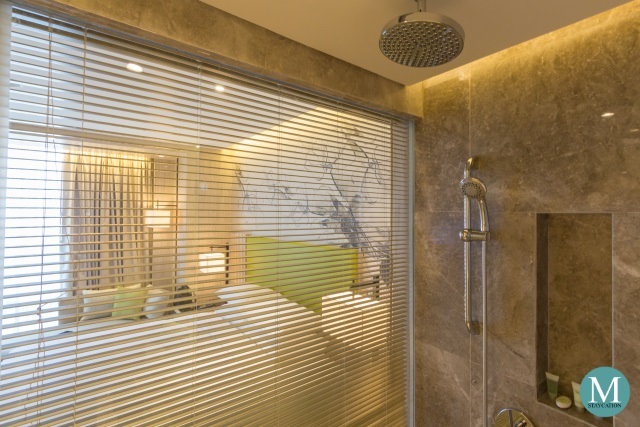 The walk-in shower is also lined with marbles, with a glass wall separating the bathroom from the shower area. Privacy blinds can be drawn to completely cover the glass wall. The walk-in shower is fitted with a handheld and rainfall shower-heads. Water pressure was excellent and consistent at any time of the day. It only takes less than five seconds for hot water to flow from the shower. Water temperature was easy to regulate. 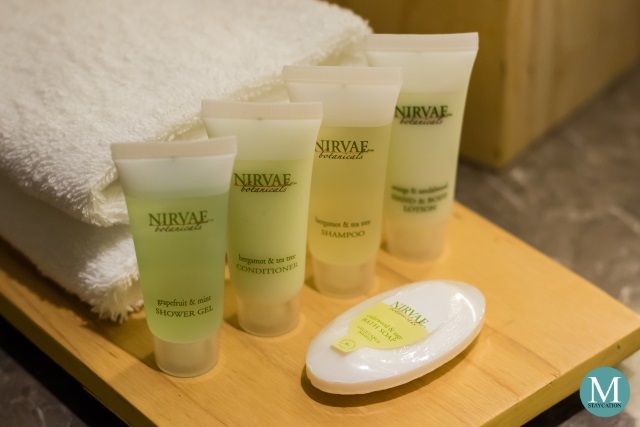 Guests staying at Courtyard by Marriott Iloilo are provided with Nirvae Botanicals body and bath amenities. The complete set includes a Cedarwood & Sage Bath Soap, Grapefruit & Mint Shower Gel, Bergamot & Tea Tree Shampoo and Conditioner, and Orange & Sandalwood Lotion. Overall, I had a great stay in this Deluxe Room at Courtyard by Marriott Iloilo. 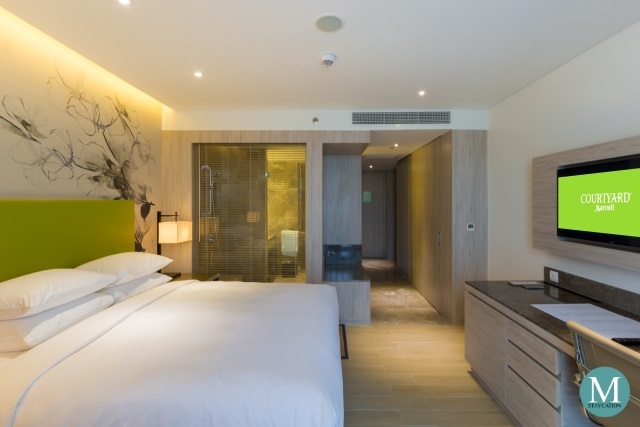 At 32 square meters, the room is spacious for a mid-range hotel, a great value for your money. 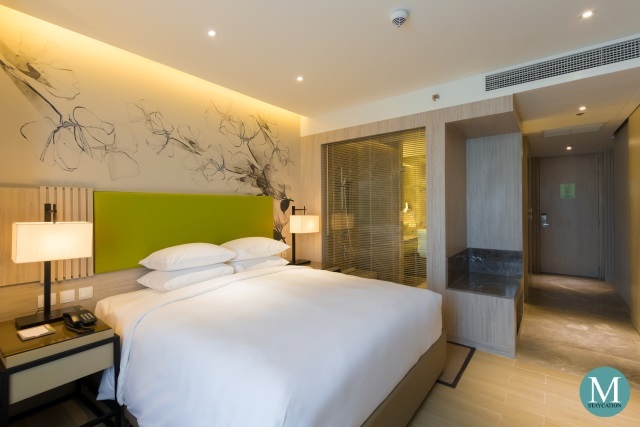 The Deluxe Room at Courtyard by Marriott Iloilo is ideal for business travelers as well as leisure travelers who require an accommodation that meets international hospitality standards.